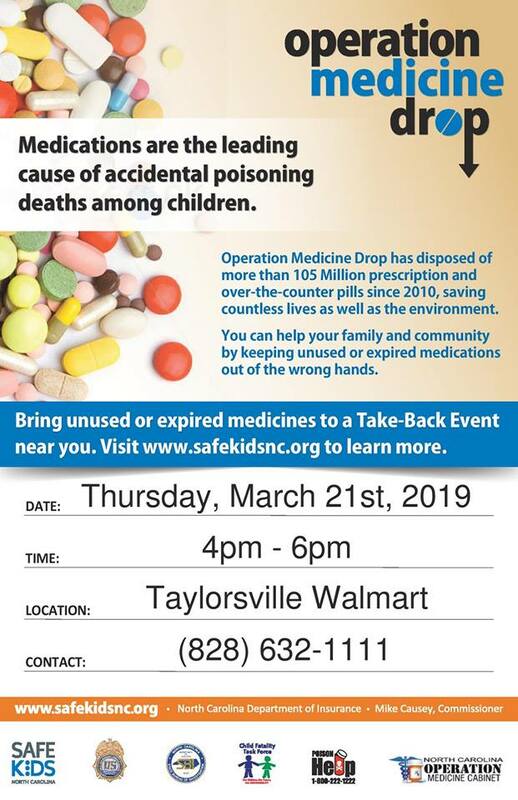 Safe Kids Alexander County will be partnering with the Alexander County Sheriff’s Office, Taylorsville Police Department, and Taylorsville Wal-Mart to offer a free medication take-back event on Thursday, March 21st, 2019 from 4pm until 6pm. During the free take-back event, you may dispose of any unwanted or expired medications free of charge, anonymously, and with no questions asked. Simply drop off your medications at the booth that will be set up in front of the Taylorsville Wal-Mart store located at 901 NC Highway 16 South. All medications collected will be safely disposed of by law enforcement. 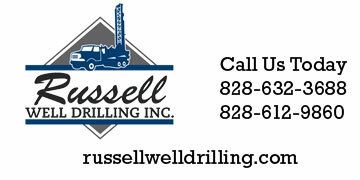 This event is sponsored by Safe Kids Alexander County and is in observance of National Poisoning Prevention Week. Safe Kids Alexander County reminds you to always secure your medications and safely dispose of them when they are no longer needed!